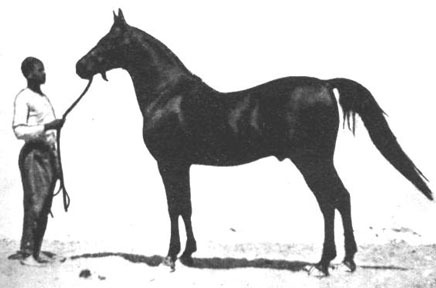 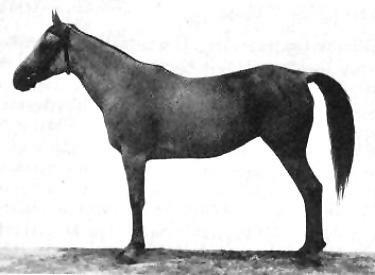 IBN RABDAN, dark chestnut stallion by Rabdan x Bint Gamila, descended in tail female from the Hadba Enzahiya mare, Venus, imported into Egypt by Khedive Abbas Hilmi II, and in direct male line from Jamil el Kebirel Ashkar, a desert-bred Saklawi Gidran stallion imported into Egypt by Ali Pasha Sherif. 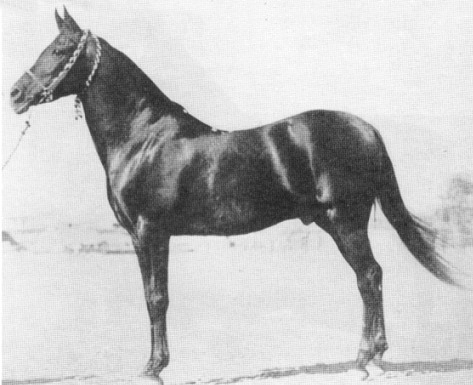 A magnificent stallion and remarkable sire who also proved himself as a winning race horse, he is shown here in his youth - a picture which has become a classic in the Arabian horse world. 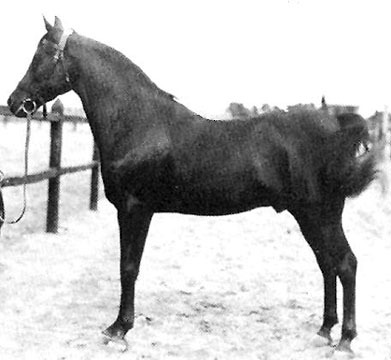 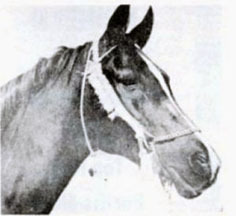 Sire of *Bint Bint Durra, *Fadl, and *Maaroufa, he is extremely influential amoung the pedigrees of recent Egyptian imports as well as horses being bred in Egypt today.